One of the most important services provided by the City is code compliance. Our experienced officers, led by Al Jimenez, Chief Building Official and Code Compliance Supervisor, are committed to enhancing the quality of life and increasing the property values within our beautiful city. Whether they are enforcing the municipal code, building code or providing information to our residents for issues such as hauling of debris or appliances, removal of inoperative vehicles, abatement of unpermitted structures or property maintenance standards; their goal remains the same - to provide the highest level of customer service while improving the standards in our city. Often times, the Code Compliance Officer must become the mediator between feuding neighbors. Neighbor A complains about the appearance of Neighbor B’s front yard as an example. The officers work to gather as much information as possible from both sides, evaluate the circumstances of the complaint, and then take appropriate action, if needed, to help rectify the situation. 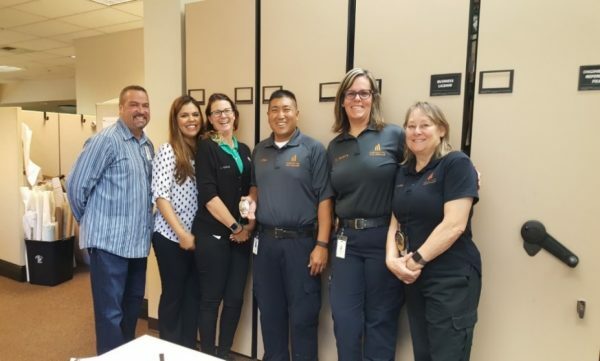 Cathedral City is also proud to announce that with the addition of Code Compliance Officer 1 Shawn Nitao, who has been an employee with Cathedral City for over nine years, the City will now respond to code complaints on the weekends. Typical code compliance issues that occur over the weekends include unpermitted garage sales, illegal vendors, and complaints arising from Short-Term Vacation Rentals (STVR). Thanks in part to the new revenue generated by the emerging medical cannabis industry, the City was able to fund this new weekend position and offer a service not previously available. During the past two weekends, Officer Nitao has responded to five STVR complaints and twenty unpermitted garage sales, removed 75 unpermitted garage sale signs, cited two illegal vendors, and issued one parking citation, plus all of the additional complaints that have been previously reported into the Code Compliance system. 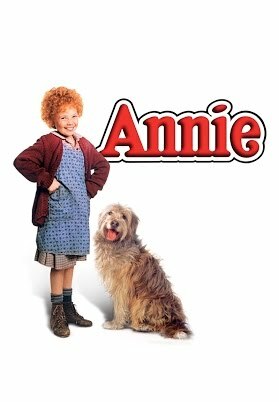 Don’t have cable to watch City Council meetings? No worries. 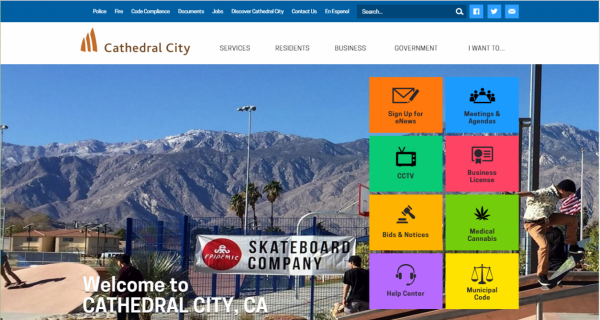 Check out CCTV on the new www.CathedralCity.gov website. It allows you to watch Council Meetings as well as all the commission meetings on your smart phone, laptop, or tablet. Just click on CCTV tab on the Home Page. You can also … Read more. 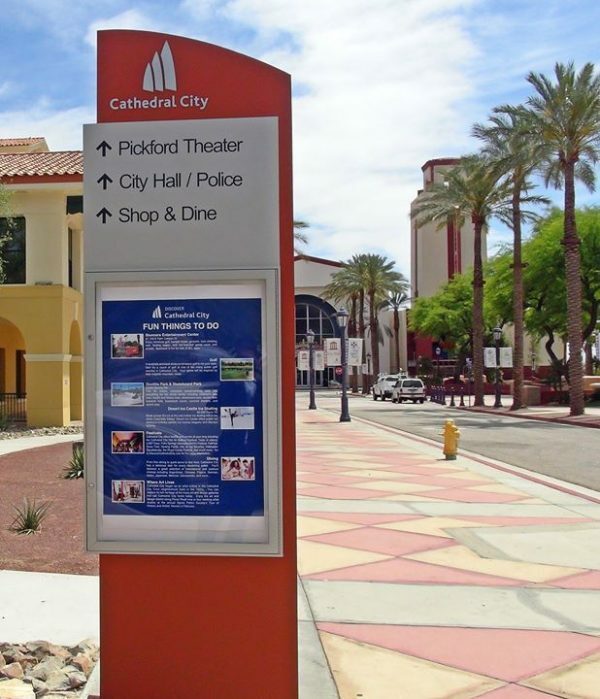 With new businesses coming into the downtown area and more changes on the horizon, the City has recently installed new pedestrian directory signs informing residents and visitors alike about our theaters, restaurants, and other great things to do in Cathedral City including our art galleries, family fun centers, and … Read more. We are pleased to announce that construction has begun this week on the 2.2 mile Cathedral City Whitewater Bike Trail that will go from Vista Chino to Ramon Road along the west banks of the Whitewater River basin. The nearly $3 million bike trail will be built to the specifications of the … Read more. 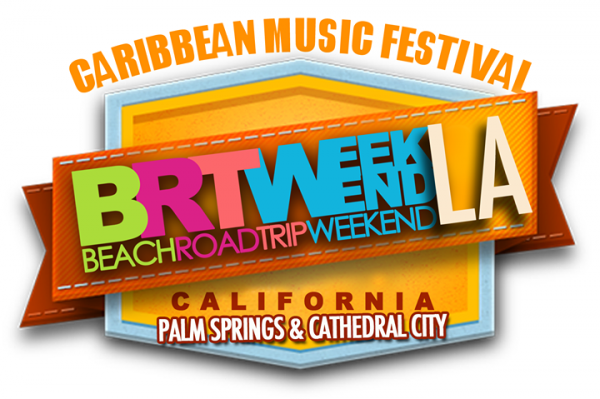 BRT Weekend will be the first Caribbean 3-day/6 parties’ concert for Cathedral City, which is scheduled for Memorial Day Weekend, Friday May 26 to Sunday May 28. The weekend will comprise of a series of themed events, featuring great music and entertainment by some of the best DJs, hosts, …Read more. 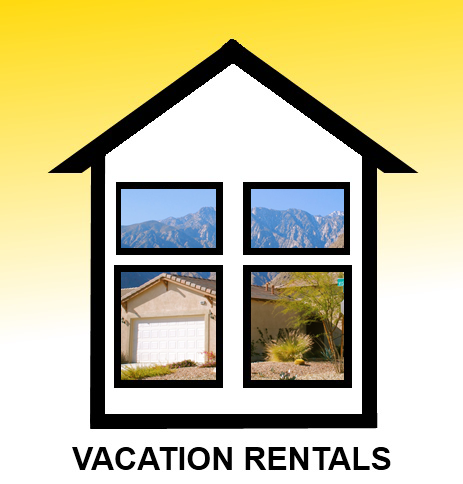 After extensive input from the public as well as the Short-Term Vacation Rental Task Force, the City Council approved on April 12th two new ordinances relating to short-term vacation rentals and the citywide noise ordinance. 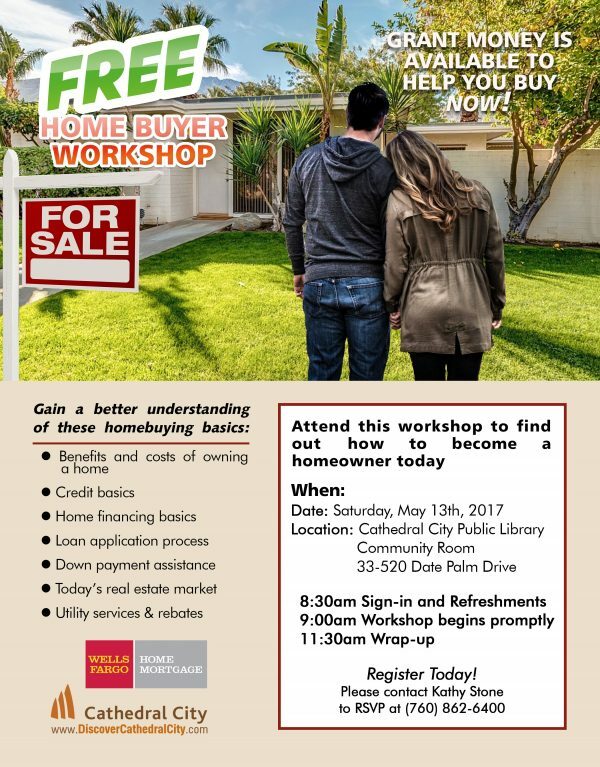 Both ordinances go into effect on May 12, 2017. 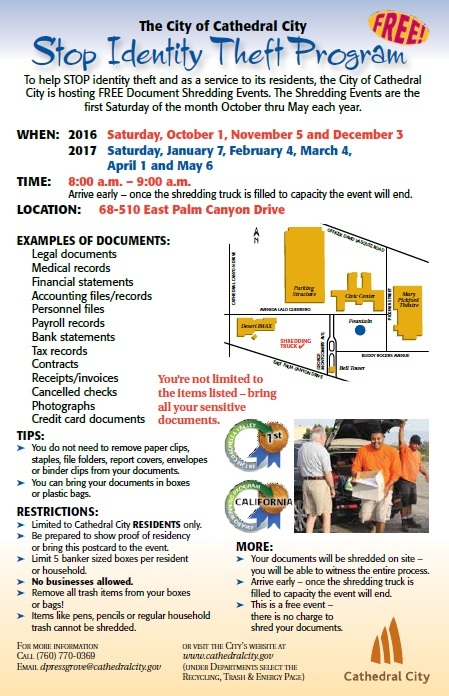 Please take a moment to acquaint yourself with these new ordinances. Short Term Vacation … Read more. 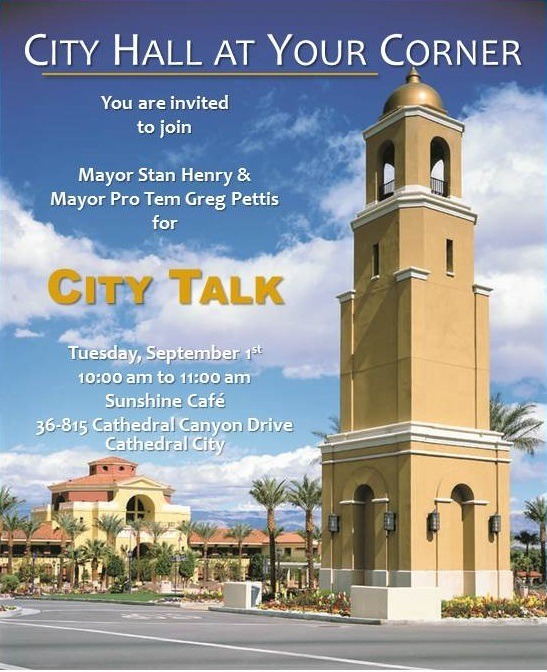 For some time now the City Council has been considering when, and under what circumstances, Cathedral City should make the switch from electing Councilmembers at-large to electing them from districts. 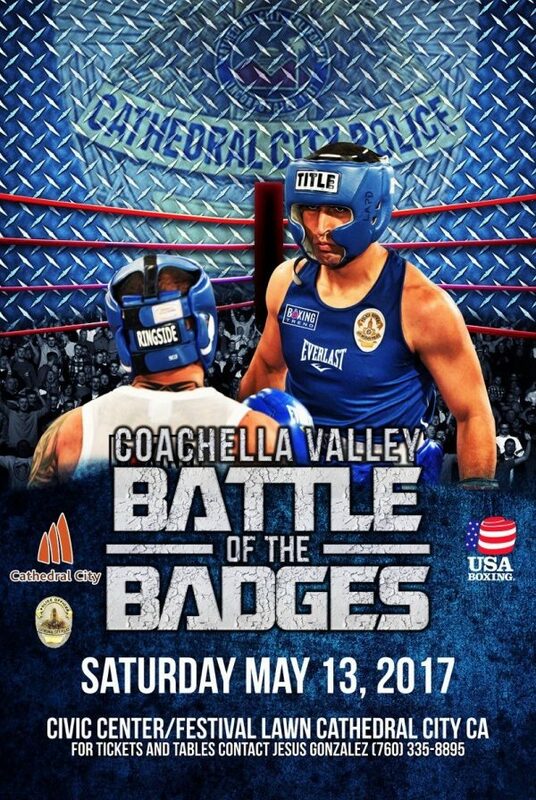 Briefly, the “at-large” Council election method, the system Cathedral City has used up to this point, provides that Councilmembers can live … Read more. 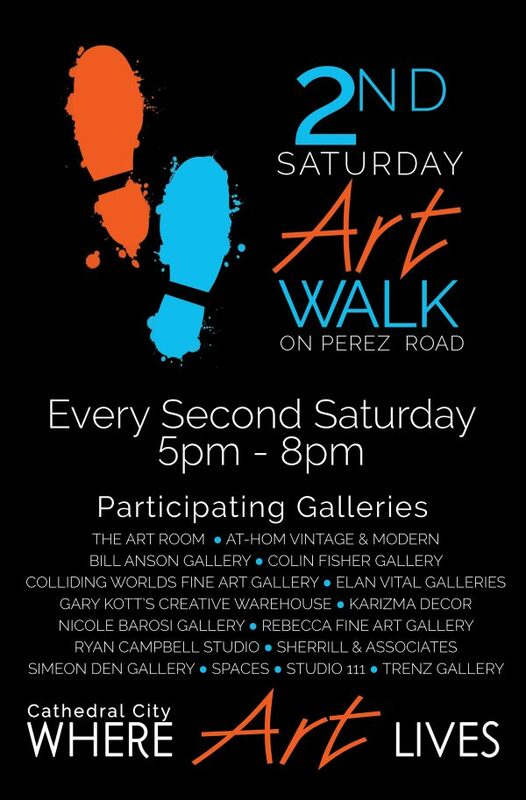 Location: 68510 East Palm Canyon Drive (adjacent to the Festival Lawn) Read more. 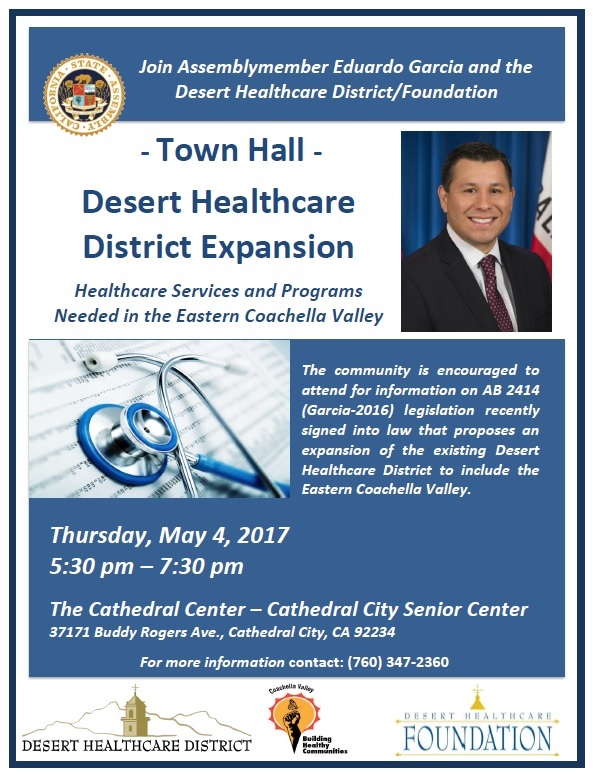 This will also serve as a great opportunity to come with your questions or comments about the City’s transition from “at-large” to “by-district” elections for members of the City Council starting with the November 2018 general election. On March 8, 2017 the City Council approved a Resolution initiating procedures for establishing and implementing by-district elections for City Council Members, which is consistent with Elections Code section 10010. The City Council also approved a Resolution specifying the criteria to guide the establishment of electoral districts which will be followed in drawing proposed district lines...Read more.